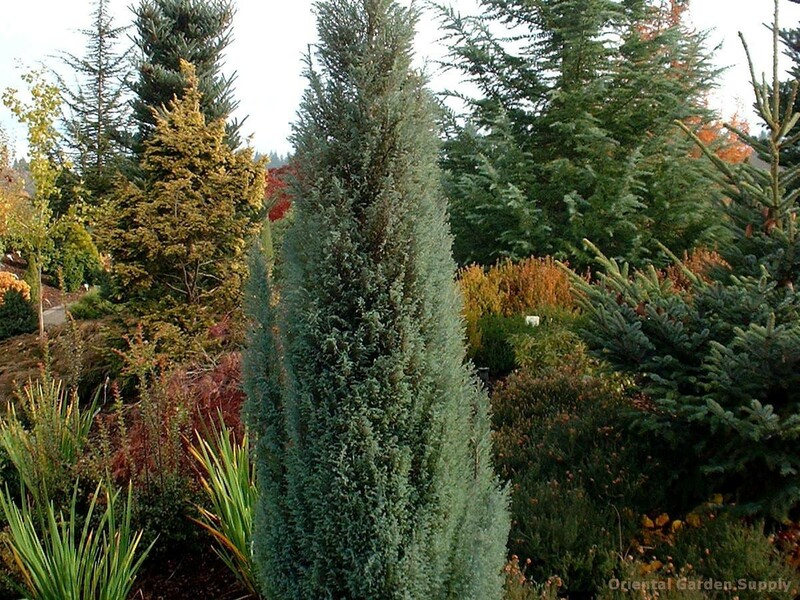 Product Information : Juvenile foliage gives this cedar a soft blue look with some purple color in winter. Both the foliage and branching are dense. A nice columnar form.